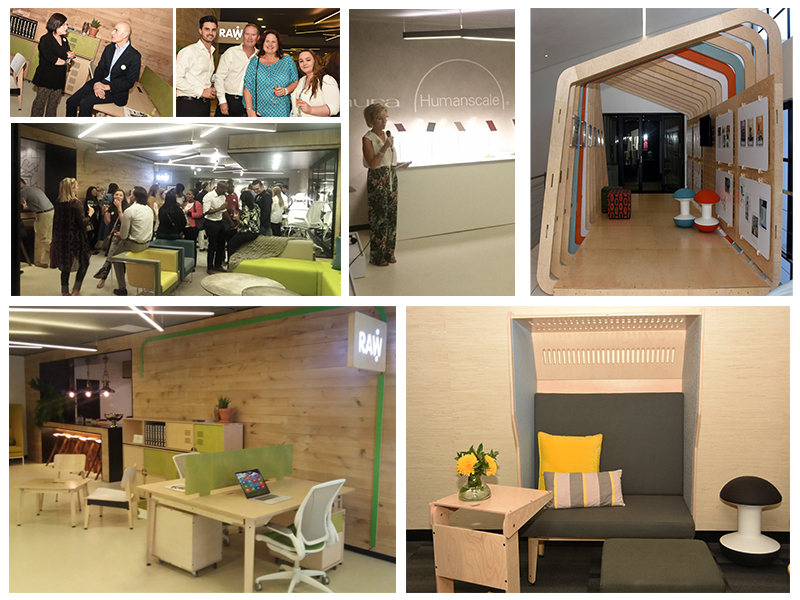 Ditulo Office Furniture Engineers is a Johannesburg-based company making waves within the office design market. Providing a niche service for clients and suppliers, Ditulo embraces quality and promotes holistic and collaborative approaches to workplace design. The name behind the company’s success is Isla Galloway-Gaul. A woman of integrity with smart business sense and a down- to- earth personality. Isla’s invested time in Ditulo made the company’s turnover increase by more than a 100 percent in 2015. This year Isla and her team, celebrated the company’s growth, by inviting all the big names and showcasing the incredible products and brands Ditulo is in collaboration with. 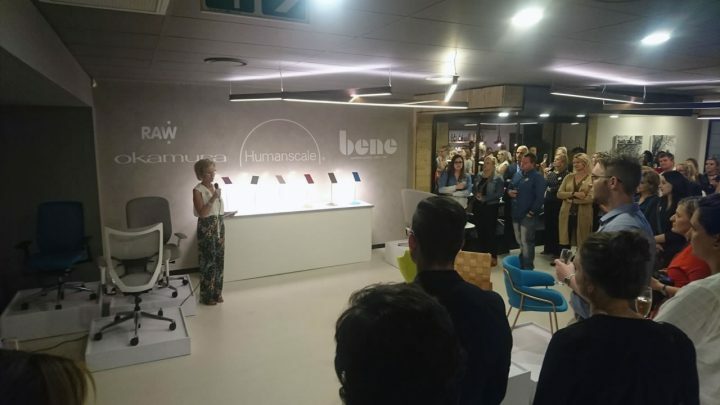 Along with high-end brands Humanscale, Bene and Okamura, RAW received some prime showroom space to showcase our now widely used Epik office system. Our Epik range stood loud and proud in the centre of the event, complemented by the Blimp, our larger- than- life collaboration pod that sparked many a conversation about where office space and workplace design is moving towards. Our Laptop StandUp’s also caused a stir when attendees tried to assemble the parts on the fly. We are privileged to be able to partner with a company that believes in changing the office environment to one that is more considered, inclusive and comfortable. Posted in Collaboration, News | tagged: blimp, brand, collaboration, Design, Epik office system, Isla Galloway-Gaul, local brand, Office Furniture Engineers, office space, workplace, workspace. Bookmark the permalink. ← Confessions of our latest RAW member.